September 1, 2016, marks the 1-year anniversary of Radio Film School‘s official premiere. It’s been quite a year. Since launching, we’ve been #1 in our podcast category on iTunes, have been on iTunes New and Noteworthy (we still frequently make it into the top 50), named by No Film School as “the filmmaker’s podcast we’ve all been waiting for“, and this summer, Cinema5D named us one of the top 5 filmmaking podcasts to binge listen during the summer. As we approach the beginning of season 2, I want to share some thoughts I have about what we’ve been able to accomplish, where we’re going, and other important changes you’ll want to know about if you’re a fan. If you need to legally license music for your productions, from every genre (including mainstream music) look no further than Song Freedom. Click here to unlock a one-time Standard Gold Level license worth $30. If you have a question about the movie business you’d like answered, or if you just want to drop us a line to say “Hi”, email us at radiofilmschool@daredreamer.fm. Better yet, use the “Send Voicemail” button at the bottom of our website to leave a voicemail message. 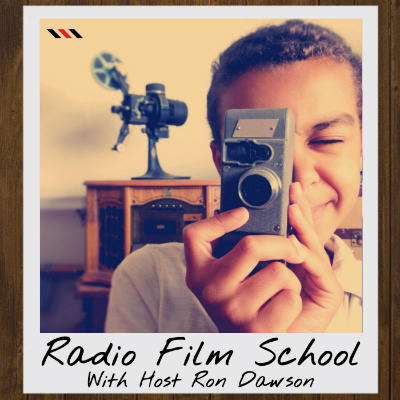 Follow Ron on Twitter @DareDreamerFM, or follow the show @RadioFilmSchool. Join the discussion at facebook.com/radiofilmschool. First I really enjoy your podcasts. This is not a comment on the episode as it is a comment on podcasts in general. I listen to quite a few podcasts and all of them seem to do the same thing. It usually goes something like this “Please leave a rating or review on iTunes” and something to the effect of how important it is. Although I have nothing against iTunes I don’t use it. Now in 2016 there are multiple ways to enjoy podcasts and I would think you would be requesting this of a wider audience, Is there a particular reason for this? Why wouldn’t you say for example “Please leave a rating or review on whatever podcast service you use” Just curious. Thanks for listening Myles. That’s an excellent question and you are absolutely correct. We do offer links to Stitcher and our RSS feed on every blog entry, so people with other listening devices can subscribe. But you make an excellent point. I think I will start highlighting other podcast outlets in the shows. FWIW, the reason podcasts emphasize iTunes is because it is the overwhelming majority of downloads for most podcasts and many small podcast producers (like yours truly) don’t have the bandwidth to effectively promote everywhere. So you put your emphasis on the big one! Actually, I think that what Myles is saying is that rather than calling out ANY specific platform, SAY in your podcast specifically to “please leave a rating on WHATEVER platform you, the listener, use to access and enjoy the show”. That’s actually what I plan to do. Except, that I will still encourage people to leave an iTunes comment, even if they don’t use iTunes. It makes THAT much of a difference.